Like the rest of this website, the glossary is a work in progress. If we’ve missed a term, please contact us to let us know the term and references. 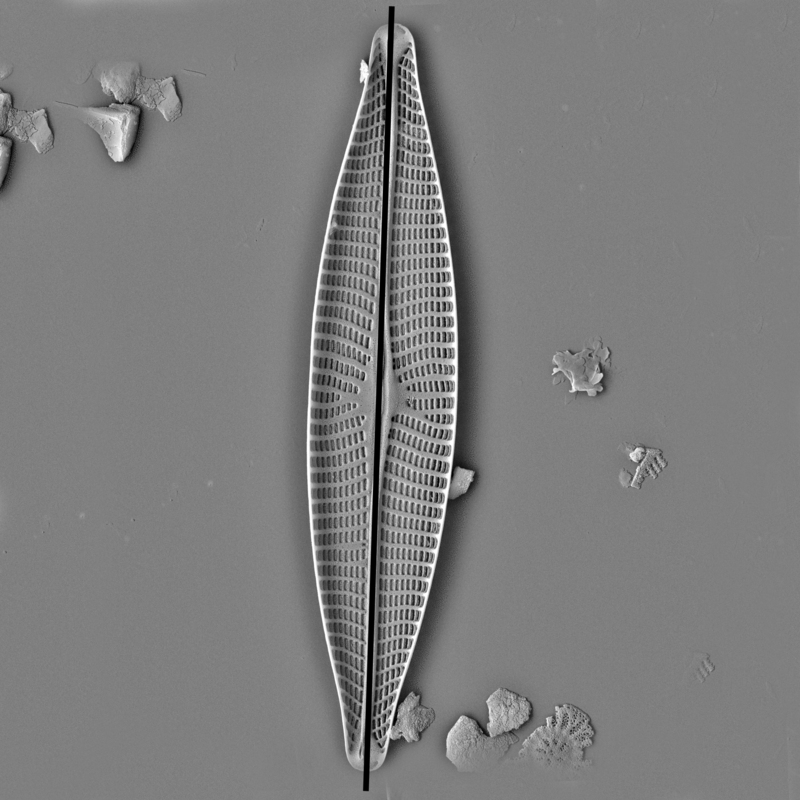 The long axis of the valve face of a pennate diatom, passing through the apices. Follows the midline of the valve and may be curved, as in the genus Cymbella. See Pervalvar axis and Transapical axis. Navicula is symmetrical to the apical axis. The black line runs along the apical axis.